The Kilkenny Ormonde Hotel is Kilkenny’s premier 4-star city centre Hotel with Leisure Club and Spa. A warm welcome and a relaxing stay await you at this wonderful hotel in the heart of Kilkenny City, where you will find all of the attractions of the medieval city right on your doorstep. 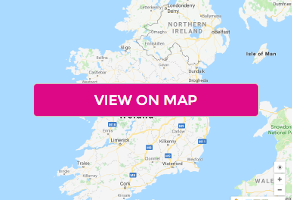 Located right next to Kilkenny City's landmarks such as the magical Kilkenny Castle, the intriguing Medieval Mile Museum, St. Canice’s Cathedral, Medieval Rothe House and The Smithwicks Experience, and just a few steps away from the finest boutiques, theatres, bars and restaurants. The relaxing, warm and muted tones in each of the standard rooms make the Kilkenny Ormonde the perfect choice for Kilkenny break away. Offering premium amenities, a tea & coffee welcome tray, 24 hour room service, and free WiFi throughout the hotel, guests enjoy free access to the hotel’s Leisure Club with its 21m pool (with children’s pool) fully equipped gym, sauna and steam room - Kilkenny City's only Hotel with Leisure Club and KO Spa. And there’s the possibility of pampering at the hotel’s KO Spa – with facial and body treatments using the VOYA range of organic Irish products and renowned Fuschia and Bellamianta beauty brands; you’ll be soothed and rejuvenated. The Castle Lounge is the heart of the Kilkenny Ormonde Hotel and is the meeting place for locals and visitors to Kilkenny. Sit back in their very comfy armchairs and high-backed sofas with a cappuccino and fresh homemade cake, enjoy a glass of wine and a savoury dish from the all-day menu. In the warm and inviting atmosphere of the hotel's restaurant, you’ll discover a variety of seasonal dishes to tempt you. Our Executive Chef and his team create popular and signature dishes using locally sourced produce and fine ingredients. Join in the buzz of HOBAN Bar & Brasserie, rich decor, soft leather seats and some quirky booths provide the perfect backdrop to simply great food and a tempting Cocktail List.